Ideas for a water fight! Water fights are brilliant! The only downside is that they can get out of hand and lead to arguments, and they can become a bit boring after a while when the novelty wares off. Wet people too, make a mess when they come back into the house. This can be negotiated by a good use of towels and a possible outside drying off-changing area, such as a garage. To keep a water fight alive, here are a few ideas / rules to make a water fight more fun. 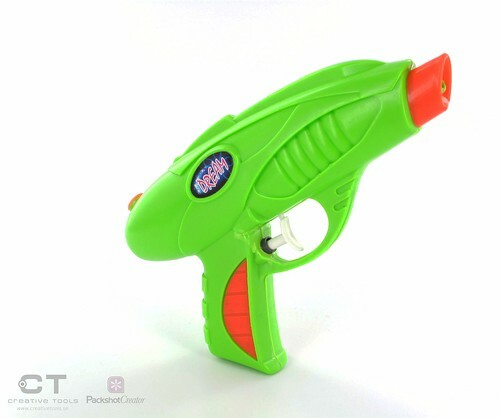 This is ideal for two players with similar high powered water pistols. Two people stand back to back and walk twelve paces, away from each other. Once they have taken their paces, one of them counts to three. 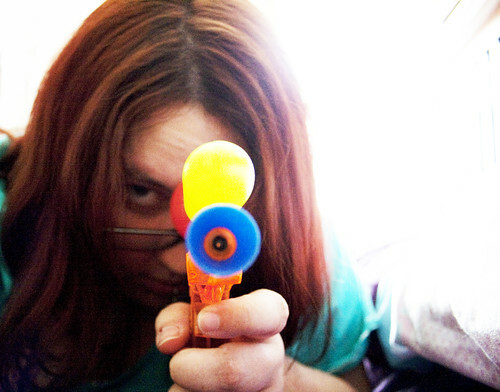 On the count of three, both players spin round and unleash their weapon’s payload at the other. The winner is the one that is covered with the least amount of water. If their are three people one can act as a judge and count to three at the beginning of the duel. In fact a duel can be played by three players, by either playing a winner stays on scenario, or all players walk away in a triangle shape, and then everybody shoots at each other. This can become messy. Should twelve paces prove difficult for your weapons, then try six or even three. Just like normal Tag, where someone is “it” until they tag someone else, the game is the same just people are tagged by being squirted rather than tagged. The last person to be squirted, is “it”! The traditional water fight where everyone goes a little crazy and makes everyone as wet as possible. Great stuff! Try including areas which are safe where people can’t be squirted. To make it really interesting, why not incorporate a time limit as to how long a person can stay in this area. The best water pistols are ones that shoot a powerful blast of water, and can hold a lot of water so reloading is kept to a minimum. Some water pistols have tanks which strap over your back, so you can hold more water. Animals should not be targeted. This may scare the animal and that is not a nice thing to do. Never have a water fight inside the house. Washing is not to get wet. Never use delicate objects in a water fight, such as anything made from glass. The world’s biggest water fight! to get involved. Could you win a water fight with an elephant? Be nice to your mum on Mother’s Day. This is a very nice article…………it teaches kids to make creative things and to have fun during holidays!!!!! I going to be having an awesome water fight tomorrow with my friends(I hope!!) and reading this article helps me a lot so thank you so much on whoever made it!!!!!!!!!!! !thank u once again!! Wow, good job as an article/website. Do you mind if I spread the word? Nice tips!